Michigan Statewide Model Update | Resource Systems Group, Inc.
RSG is working with the Michigan Department of Transportation (MDOT) to develop an entirely new statewide model for the state. The model employs a data-driven framework to leverage big data, especially for long-distance and visitor trips. Accurately capturing travel-related tourism is a key goal of the project given its significant and growing role in the state’s economy and the new model can forecast summer weekday and weekend traffic as well as a typical fall day. 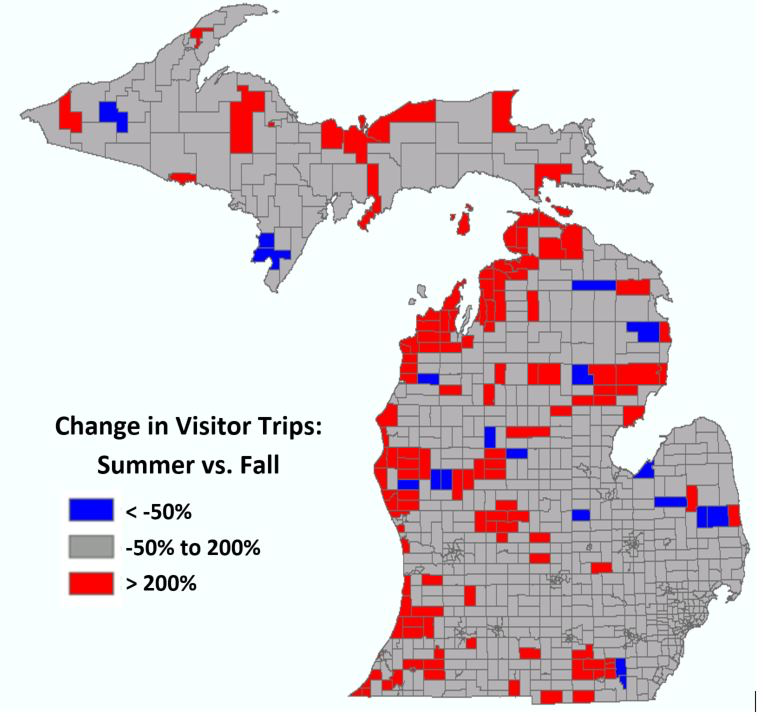 Cell phone data clearly illustrates key features of tourist travel including major summer destinations in northern Michigan such as Mackinac Island and the Pictured Rock National Lakeshore. 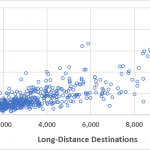 The advanced trip-based model also captures the important linkage between long-distance and visitor trips in the same way that it links non-home-based trips to home-based trips and is the first statewide model to employ advanced trip-based modeling technique in this way. Another key goal of the project is to ensure that the new model has the necessary functionality to test a range of scenarios related to connected and autonomous vehicles (CAVs). Although it is too soon to produce real forecasts, the model allows the user to test a variety of assumptions to produce an array of possible futures. Ann Arbor is a connected vehicle test environment specially designated by FHWA and it and several other cities beyond Michigan, including Charleston, SC, are also adopting the CAV framework developed for the Michigan statewide model. The framework, developed for advanced trip-based models but adaptable to four-step models as well, reflects potential changes in the frequency, mode, length, and time of passenger trips related to CAVs as well as five types of potential zero occupant vehicle trips.